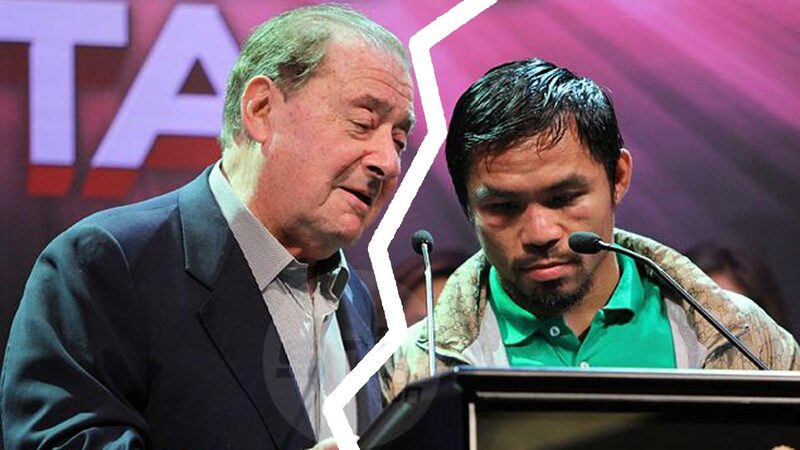 IT was Manny Pacquiao hands down winning Round One of his looming legal battle against Bob Arum and Top Rank. Pacquiao's camp disclosed communication lines were suddenly opened the moment Pacquiao went public with his intention to haul his former promotional outfit to court for failing to give him his due from the broadcast proceeds of his last world title fight against Lucas Matthysse. At least two trusted Pacquiao officials confirmed that feelers from Top Rank reached the Filipino senator just hours after reports came out about that 39-year-old World Boxing Association (WBA) welterweight champion's plan to file a case against Arum and other parties involved in the live-streaming of the July 15 title match held in Kuala Lumpur, Malaysia and promoted by MP Promotions and Golden Boy Promotions. “Inaayos na, nag-uusap na,” said one source. The eight-time world division champion met with one of his lawyers in his Dasmarinas Village home late Monday night straight from his work at the Senate shortly after a call was made to him from the U.S regarding the supposed legal case. Pacquiao claimed that under the original contract he signed with Top Rank, which tapped ESPN+ to show the 12-round fight through live streaming, he’s entitled to receive 85 percent of the broadcast share while the remaining 15 percent goes outright to Arum’s promotional outfit. As per reports, the live-streaming of the fight earned a total of $1.7 million. “I have not received the U.S. rights payment for my July 15 fight against Lucas Matthysse that was broadcast on ESPN+,” said the former Fighter of the Decade in a statement. Pacquiao’s camp is now asking ESPN to produce all necessary documents needed to determine the net profits generated by Top Rank from distributing the fight worldwide.